The information in this post relates was produced using EA V10 – as can be seen from the posts on the EA forum Sparx have changed the way Learning Centers operate in V11 which means that anything produced for V10 and, I assume before, will not work. I hope to produce an update in due course. This is something that I have had on my list of things to do for a long time and was finally sparked into action by a question on the sparx forum. However, my expectation of going to the user guide and following instructions didn’t quite work. As I will detail below I couldn’t have created an MDG learning center without looking in the XML files (and at times editing them), however with the information contained in this post I hope you don’t have to do much(if any). In fact, it’s not that the documentation that Sparx provide that is wrong but the little details that are useful are not included, and I suspect some of my findings could be considered a bug! I will assume that you are happy in creating a simple MDG (in addition to the user guide, and the excellent wizard in EA, there are several tutorials around). For my experiment I used the EA profile wizard ( add new model using wizard and select MDG Technology Builder | Basic Template) to create a simple profile for the elements and a toolbox. Do this first just to check you create a working MDG. 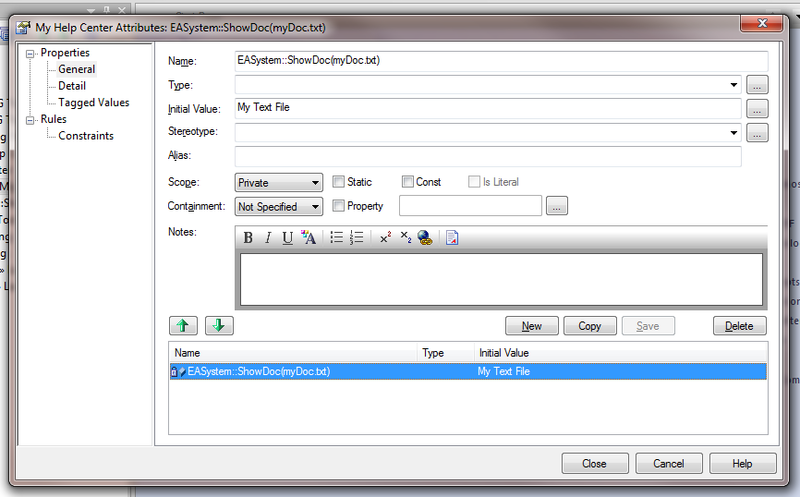 Remember to import the MDG file (Tools | MDG Technology Import) – you can also set the path in (Settings | MDG Technologies | Advanced) which allows you to specify a location where your MDG will be located (great when testing). So we have a working MDG and now want to add the learning pages. 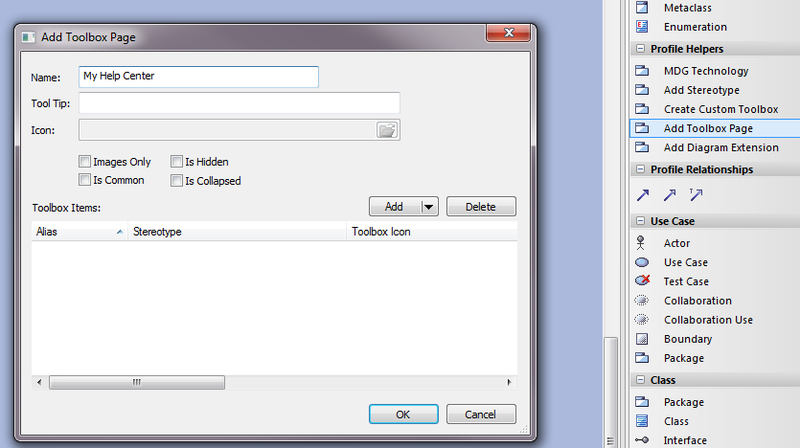 This simplest way I’ve found to add a profile is to use the profile toolbox. So to create your learning center profile start by using the profile helpers and add a profile to your top-level MDG technology diagram. 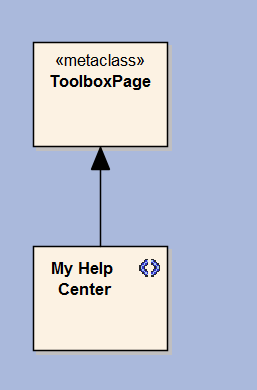 In doing this select Automatically add new diagram making it a Class diagram as ell as select open new diagram as we are about to use it. Before adding any content I did a check in creating this new profile and adding/recreating the MDG. Ensure that your load this MDG if not done via the advance path method and restart EA. If all has gone to plan then “My Help Center” is in the list – it was as shown below. We have the some success. If it all worked then you may skip to the next section, however if you haven’t succeeded in creating your learning center then here are a few gotchas I found. 1. If the profile file you created doesn’t appear in the list of available profiles when creating the MDG!! 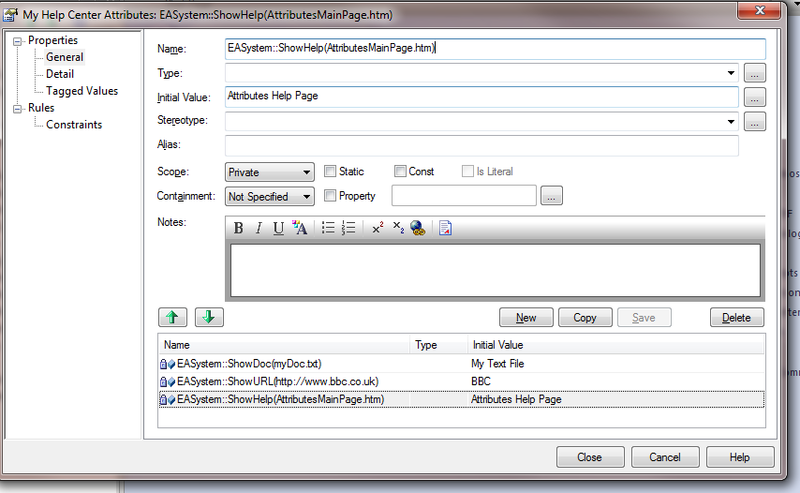 I have found that in some instances when you save UML profile the XML file created generate the correct headers. In a “good” profile file lines 1 and 2 are as shown below. where you can see that lines 1 and 2 differ both the encoding and profiletype. When testing I edited the generated XML profile (Cut and paste lines 1/2 from a good file) and it works. What is strange is that I haven’t found a pattern to this AND even worse once corrected subsequent re-generation seems fine! In both this and the previous case I’m not sure if I have done anything when saving the profile that could cause these error generation but unclear to me. At least the workarounds weren’t too difficult to find. Hopefully we are over the first hurdles and I can assume that we have a working learning center profile. We now need to add the content that is appropriate to our MDG. Before starting a word of warning – ensure that any of the text in your definitions does not have any trailing spaces, tabs etc – if they do you may see some funnies – I certainly fell foal of this! 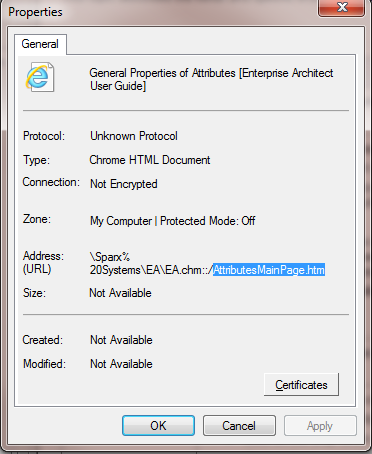 The Name of the attribute is the command including the content specific parameter that will be executed. 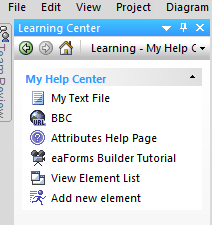 The Initial value defines the text that is displayed in the Learning Center menu. 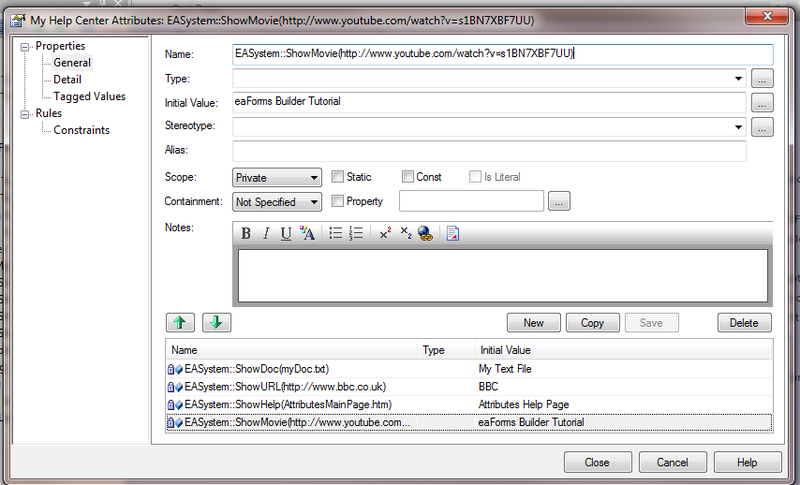 To display a text file, which could include RTF and possibly other file types that EA can handle. 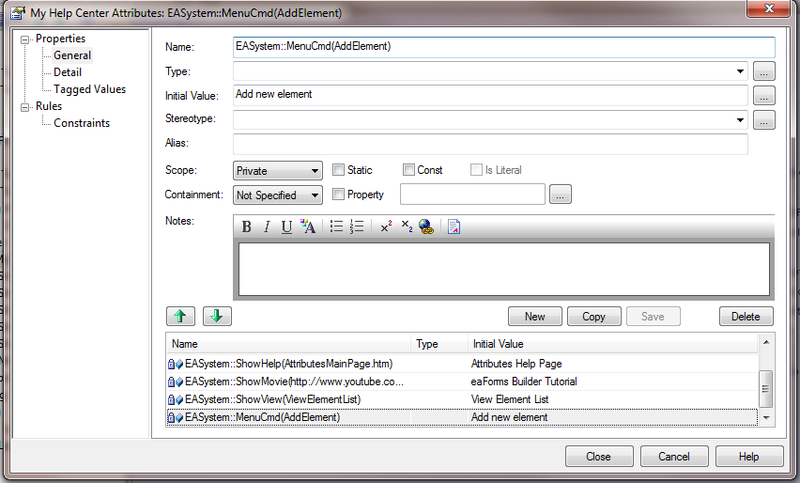 The key point to remember with accessing a text document is that EA looks for the document relative to the EA installation directory (e.g. C:\Program Files (x86)\Sparx Systems\EA) – so if you are using an installer you probably need to be careful with this to ensure that the files get placed in the correct location. 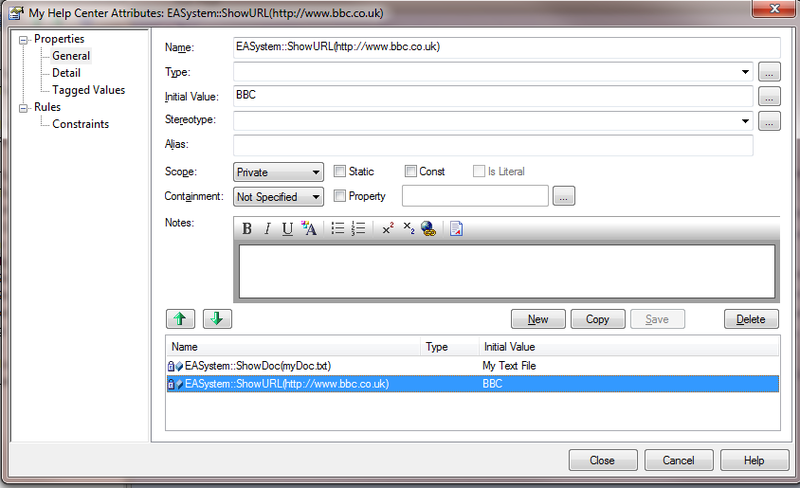 For testing and if in doubt you can use my EA Installation Inspector which lists the EA install path. EA will display the specified help page. The one issue with this is finding the relevant page name. Look at the address and go to the end of the line (much of the page name is not displayed) and get the page name “****.htm”, as illustrated below. 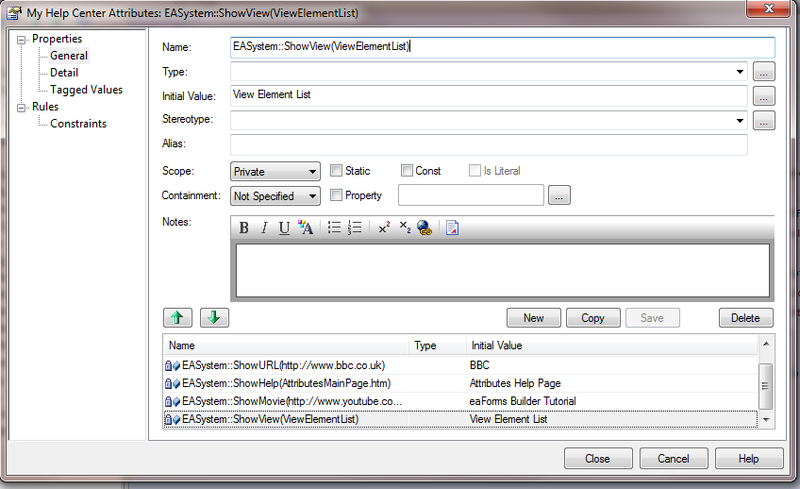 Then use the command EASystem::ShowHelp(url) with the specified page name as the command parameter and a suitable menu name as the Initial Value. With that all done I saved the modified profile and recreated my MDG technology (ensure you import if needed). Each command type has a different icon. I have tested each functions covered so far and it works fine. There is also a command to execute a function provided by an Add-In (<Add-In>::<Function()>) – I’ll started to check and it appears in my menus but so far it’s not talking to my add-in so more to check!! If I get around to it and find the solution I’ll provide an example. In the meantime I hope that results of my little experiment are useful and you succeed if you are tempted to add a learning center to your MDG. Any questions / feedback welcome. This entry was posted in All on 18/03/2014 by exploringea.